Original sails from 2007 but not used until 2014. It's and interesting story which I can share with you. Rigging note: Shrouds were renewed in 2018. Diamond forestay renewed in 2016. One head is electric and the other manual. This in an interesting yacht. The first thing that struck me was the excellent condition of the vessel. There is a reason for this. Although built in 2007 it was never sailed until 2014 when bought by the current vendor. 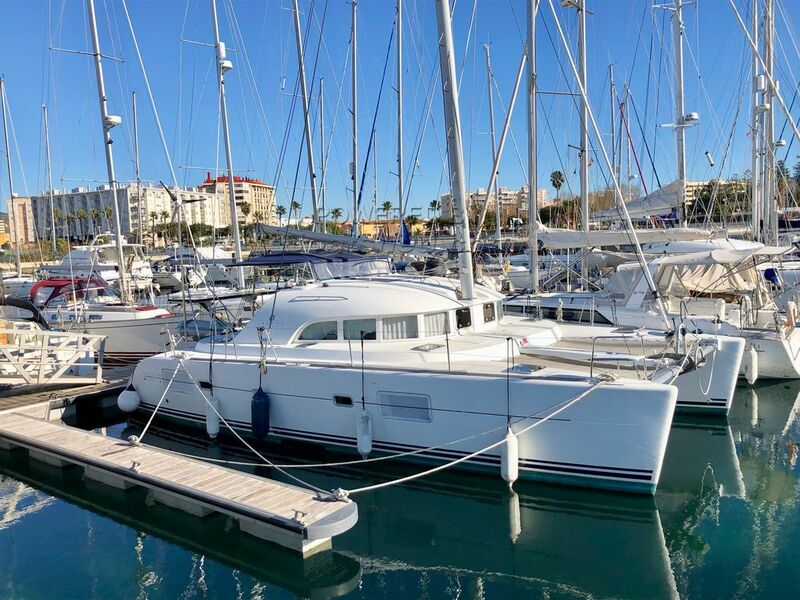 The current vendor then proceeded to equip the yacht for ocean crossings installing for example HF-SSB radio with Pactor 4 modem, watermaker, AIS and rig and sail improvements. With this done the yacht participated in an ARC rally and after a season in the Caribbean she was returned to Europe via Bermuda and the Azores. This is an exceptional catamaran ideal for someone looking for a world cruiser that is ready for immediate departure. A viewing is strongly recommended. This Lagoon 380 S2 has been personally photographed and viewed by John & Lynda of Boatshed Gibraltar. Click here for contact details.